Before the General Assembly adjourned earlier this week, legislators passed a bill that aims to bolster investment in renewable energy and improve energy efficiency. 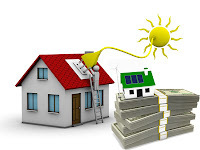 The legislation creates a new financing option for homeowners, allowing those in participating communities to apply for a special loan for energy upgrades that would become part of the assessment on their property. Because the loan would ideally increase the property value, it would stay with the property if it transfers to another owner before being paid off. The idea behind the new program, known as Property Assessed Clean Energy, or PACE, is to remove a barrier to energy improvements. Because the upfront cost of, say, installing solar panels is high, some Rhode Islanders may be deterred from making the investment. 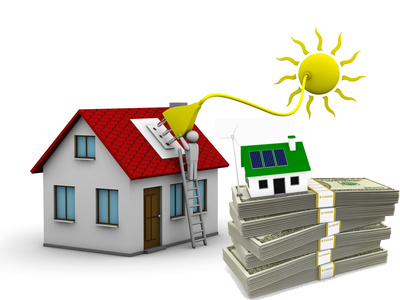 But through PACE, a homeowner can invest in a new energy system without breaking the bank, according to its supporters. The costs are paid off over 10 or 20 years. "You would hope that the energy savings would be more than the cost of the lien," said state energy commissioner Marion Gold.